Kent Water purifiers are also a brand of purifiers that are common in India and have proved to be exactly what the manufacturers say they are; excellent, effective, and safe. There are many water purifier categories that one can choose from and this variety of their products gives everyone something that they will fancy. From KENT, you can get RO water purifiers, UV water purifiers, and gravity water purifiers. KENT water purifiers offer large storage spaces making them great for your family. They also have lovely designs and are made of high-quality materials. This is the reason why they last longer and gives you value for your money. KENT is a company that has received a lot of awards and certifications also from vital organizations in the world as well as India. It has been awarded for being the best domestic water purifier, most popular safe water equipment, most trusted water purifier brand, most promising brand, and Asia’s most admired brand, among others. They have also been certified by NSF, Water Quality Association, Bureau of Indian Standards, and many others. This is one of the top brands that you can trust for the safety of you and your family. They are excellent for the day to day task of keeping your home healthy. KENT ACE+: This water purifier has a capacity of seven liters and uses RO + UF technology. It has a wall mount design making it versatile. Its double purification system guarantees you safe and clean water. KENT Pearl: The capacity of this water purifier is eight liters. It uses RO + UV + UF technology for water purification giving you clean drinking water. Its design is lovely, and the choice of color (blue and white) stands out. KENT Gold Plus: The capacity of this product is twenty liters which is amazing. It uses gravity for water purification. It is perfectly capable of eliminating all micro-organisms with its excellent UF technology. These are a few of the popular KENT water purifies in India. They will give you value for your money. 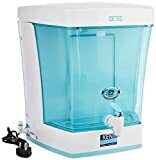 You could also look at the list of best selling water purifiers from Kent brand online before finalizing one for your home. You should also have some information on how to install water purifier and how to maintain it.Here is the video which might explain you much of these details in a simple way.